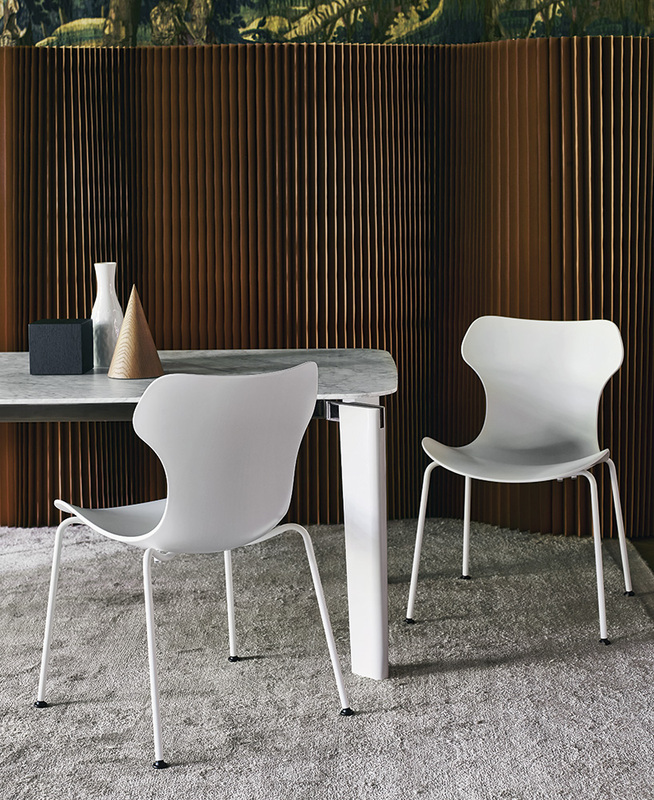 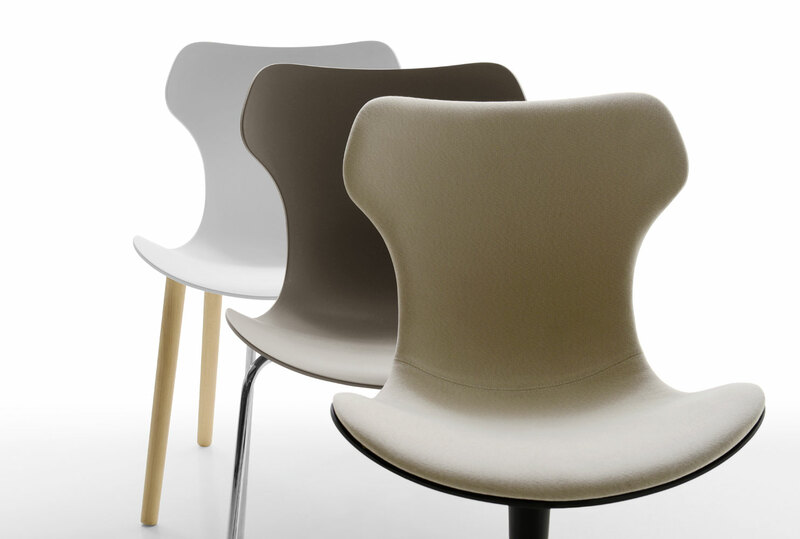 The Papilio Shell Dining Chair from B&B Italia, designed by Naoto Fukasawa. 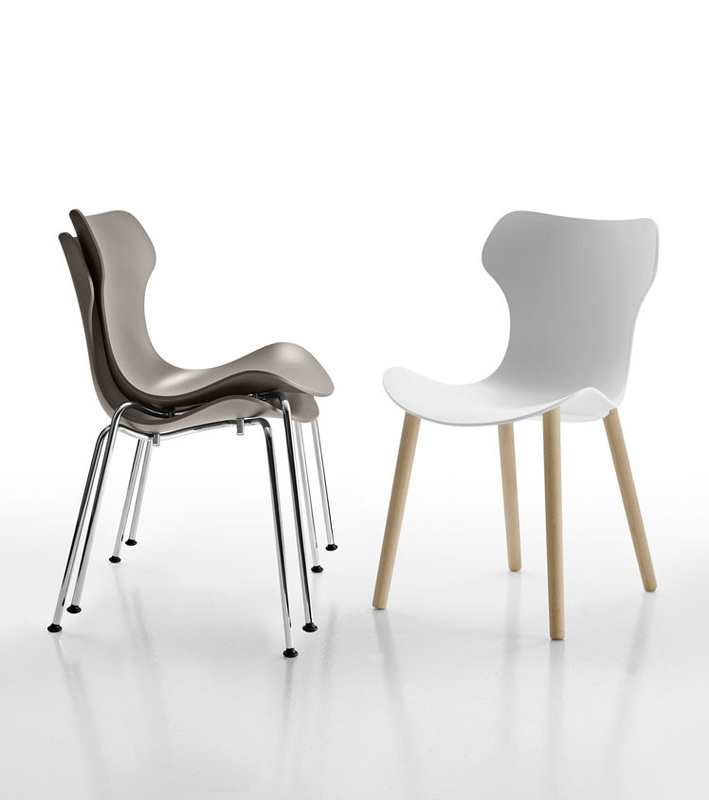 Available in two versions: with polypropylene shell in three colours (White, Grey and Black) or padded and upholstered in a wide range of fabrics and leathers. 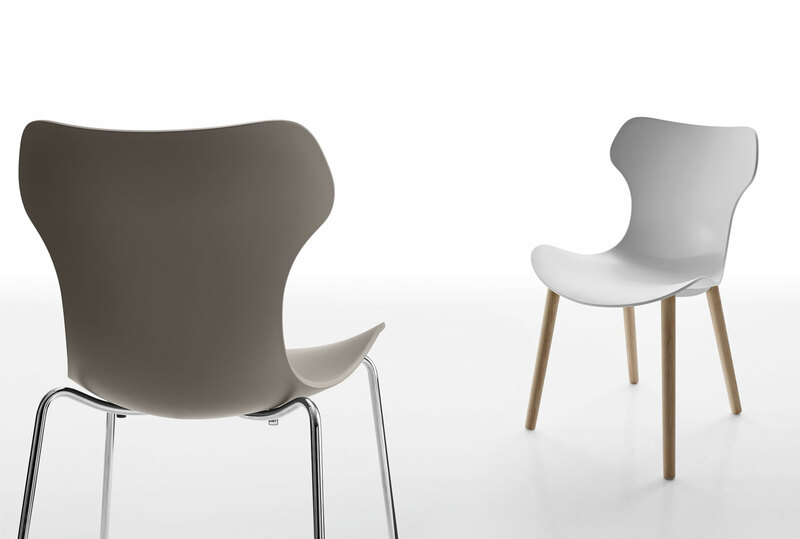 The legs in oak wood, in many different variants, make it more sophisticated.